So says Mark Thomas (www.silverpriceadvisor.com) in edited excerpts from his original article* as posted on Seeking Alpha under the title Correction In Silver Is A Longer-Term Opportunity. The silver market…will trade with about 300% more volatility than gold does. This means if gold is up or down 1%, silver will probably be up or down 3%. The total silver market is a fraction of the size of the gold market in dollar amounts, so the market is less liquid. Relatively small amounts of money in or out of the market will produce sharp price swings. Because there are only a few large institutions, such as JPMorgan and HSBC that dominate the market making of silver and are also the custodians of the large inventories, it is an easily manipulated market. Given the above, you have to be prepared mentally for the volatility you will be exposed to before entering the silver market. If you take a large position the swings in your profit and loss will test the nerves of even the strongest believers in silver so only you can decide what overall percentage of your assets you are comfortable with in regard to volatility and the risk you are comfortable taking…. Another important thing you need to understand about the silver market is you won’t know what’s about to happen ahead of time when the large players really move the market, and you will have to just endure it if it goes against you. Therefore, it is essential that you don’t use leveraged ETFs because the volatility will intensify. It is difficult enough to endure the volatility without using a leveraged non-physical backed derivative to trade it. Also, do not trade silver futures, because of the high leverage and the way the exchange can change your margin requirements overnight. They can crush you and force you to liquidate at the worst time. Do not do anything that might force you to sell except when you intend to. Many speculators found this out the hard way in 2011, when the price of silver approached $50 and the exchange tripled margin requirements. This is supposed to protect the exchange and it does, but the real reason was to try to crush the longs and staunch the losses of exchange members, who had shorted and were literally losing hundreds of millions of dollars. There is also a clause in every futures contract that it can be settled in cash, and not actual physical delivery so if silver soared so much it was bankrupting exchange members, they could declare that the market is in “liquidation only” mode like in 1980. This would short-change the investors on the right side of the trade. Of course conveniently, this is never done when average investors are on the wrong side of the trade, but only when members of the exchange and large institutions are hemorrhaging cash. Another thing you want to do when accumulating your silver position, especially if it is correcting, is be patient and average into your purchases very, very slowly…. By far, I feel the safest place to store your metals holdings is to physically possess them, and I strongly advocate that….I feel Canada is the best place to have your metals stored when you use exchange traded funds or trusts. It is a country with a long history of mining and natural resources, and most of the companies involved in the sector are located there, so it is probably the safest country from government confiscation. They have different and easy to invest vehicles for their own and foreign citizens to own gold and silver, like the Central Gold Trust (GTU) and the Central Fund of Canada Limited (CEF). These are long-term vehicles with extra precautions, like storage at mints, and they are even insured…. 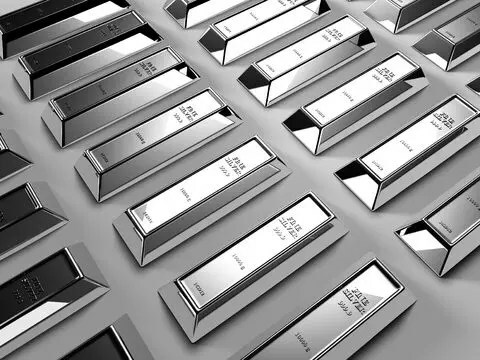 The paper silver market (all outstanding futures and derivatives) is many times larger than the actual physical silver market which means that if a significant percentage of paper silver investors demanded actual delivery, the price would rocket higher when the shorts in the market couldn’t fulfill their obligations. That is a fundamental flaw in the structure of the silver market. As time goes by and demand increases along with very tight supplies, [this shortage in actual physical silver] will force silver prices to increase much more than the gold market. That is also why you need to be concerned if you actually physically possess your silver. [You must] make sure you are using the best ETF possible to profit from the huge increase in higher prices. When you own a silver trust, you know it is physically backed and can deliver the silver so if there is a breakdown in the silver market structure, the premium for this trust would skyrocket. 2. I’m A Crazy Silver Bug…Why Aren’t You?!! 4. Gold: What Does a “Troy” Ounce or “18/24 Karat” Gold Really Mean? 5. Can I Invest in Physical Gold & Silver in My IRA?